Jared joined PRW Wealth Management, LLC in April 2018 as a Wealth Advisor. He brings to the firm over 12 years of banking, lending, investment management, and financial planning experience. Jared’s primary responsibility is to counsel clients by utilizing a multi-disciplinary approach to develop comprehensive solutions for their complex financial situations. Drawing on his experience, he provides support to the investment management team by researching new investment ideas, contributing to the creation of sophisticated financial plans, and reviewing existing portfolios. 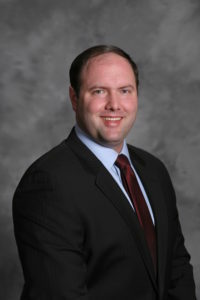 Prior to joining PRW, Jared worked in the Morgan Stanley Private Bank and as a Private Client Banker at JPMorgan. Jared earned a B.S. in Economics from Rensselaer Polytechnic Institute and is currently pursuing his Certified Financial Planner designation. He maintains Series 7and 66 licenses*. Jared is native to the Boston area growing up in Westwood. He currently resides in Walpole with his wife and two children. Jared is a devoted sports fan and outdoorsman. He is an active member of his community and serves as the Director of the Board for the Baystate Learning Center in Dedham.